Discover the Royal Grand Palace, an astonishing 60-acre (25-ha) Bangkok landmark that features spectacular Thai architecture. Tour the complex's temples and pagodas, including magnificent Wat Phra Kaew—the Temple of the Emerald Buddha. Discover the Royal Grand Palace, an astonishing 60-acre (25-ha) Bangkok landmark that features spectacular Thai architecture. Discover the rich history, fascinating architecture, and iconic buildings of Ayutthaya, an ancient royal capital. Visit the former royal residence at Bang Pa-In Palace, marvel at the Wat Mahathat and Wat Na Phra Men temples. 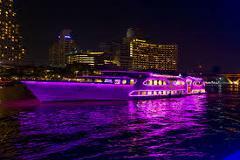 Embark on a memorable night of dining and ambience on one of Bangkok's most luxurious restaurant boats. Relax in modern comfort and dine like King Rama V on a variety of scrumptious Thai dishes. Take an unforgettable boat tour on a peaceful canal that weaves through Thailand's picturesque countryside and the stalls of the floating market. Escape the busy streets of Bangkok for a day trip through Samut Songkram Province, go shopping at a floating market in Damnoen Saduak and find an amazing horticultural and traditional display at the Thai Village. 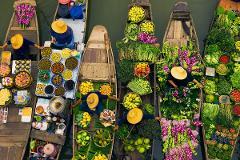 This is a fascinating combination tour in which you will compare two very different styles of local Thai markets. Spend a day exploring historic sites throughout the Mueang region as you learn about WWII and POW labor camps. Travel by road, river, and railway as you visit a prisoner cemetery, examine exhibits at the JEATH Museum. Visit one of the most majestic Buddhist temples at Wat Benchamabophit, and participate in the tradition of giving alms to Buddhists monks. Delve into Bangkok's Buddhist heritage with a half-day exploration of the city's historic temples. 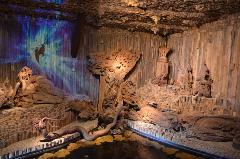 Visit the renowned Thai Village, 20 miles (32 km) from the city of Bangkok. Acquaint yourself with a different side of Bangkok by drifting through its meandering canals and the Chao Phraya River. 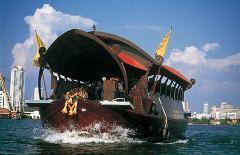 Float past waterside markets and dwellings, soaking up the local culture and scenery. Venture into the lush Thai rainforest for a zipline adventure in the spectacular surroundings of the Khao Kheow Open Zoo. With a small group of 10 people, spend a day exploring Chinatown, stop at the massive Sampeng Market, and take a boat along the Chayo Praya River. Spend an evening enamored by classical Thailand dance. Sit down to a meal of traditional Thai cuisine and watch as bejeweled dancers perform mystical routines to the percussive classicism of Thai music. The waterways of Thonburi and the Grand Palace of Bangkok offer you a spectacular window into the world of Thailand's capital. Enjoy the fascinating cultural heritage of Thailand as you cruise past some of the most beautiful landmarks of Bangkok along the Chao Phraya River by the Wonderful Pearl. Enjoy a free hotel pick-up from your hotel in Bangkok and head to an authentic, local morning market. Your guide will teach you how to choose the best sample of each ingredient to create delicious dishes at your cooking class. In the 18th century, Bangkok builts klongs (canals) to be used for trade, transportation, irrigation, protection and more. In fact, Bangkok became known as the 'Venice of the East'. Take an overnight journey to see the iconic temples of Thailand's capital with this guided tour of Bangkok. Get an understanding of the grand history of Buddhism in Thailand with a tour that takes you to some of Bangkok's oldest and most famous temples. 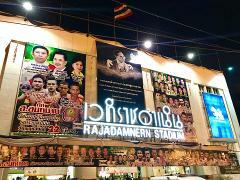 Rajadamnern Stadium is the place to enjoy the ultimate Muay Thai experience! Created by acclaimed director Ekachai Uekrongtham, Muay Thai Live – The Legend Lives, is a spectacular stage show about the history of Thai boxing—from its origins to present day—presented in 5 thrilling chapters. 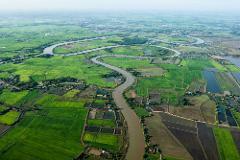 Mahasawat Canal is a made made canal that King Rama IV ordered be made in 1859. 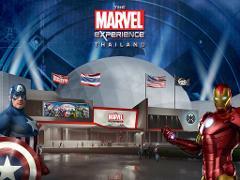 It starts in Bangkok and goes to Nakorn Pathom Province, a total of 28 kilometres in all. 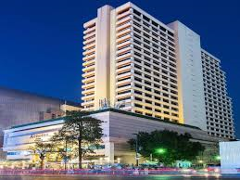 After being collected your hotel at approximately 7.30am, it will not take long to be driven just outside Bangkok where the lifestyle is in stark contrast to what you've seen in the big city. Take an adventure up the River Kwai, retreating into the jungle as you spend the night in a beautiful, thatched-roof chalet. Learn about the horrifying history of the Thailand-Burma Railway and immerse yourself in local Mon traditions. Take a rafting trip up the beautiful River Kwai and spend the night sleeping in a floating hotel. Learn about the horrifying history of the Thailand-Burma Railway and immerse yourself in local Mon traditions and customs. This quick and easy arrival transfer from Bangkok Airport to your preferred hotel is available 24-hours a day, 7 days a week. This quick and easy departure transfer from Bangkok Airport to your preferred hotel is available 24-hours a day, 7 days a week. Ferry across the Chao Phraya River aboard a teak boat for an entertaining evening of delectable Thai food and a vibrant cultural show! 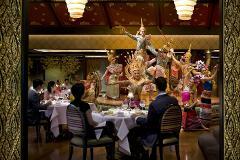 Enjoy delicious dishes with a set dinner, featuring classic Thai fare, at the Mandarin Oriental. Top off your Bangkok holiday with a dining experience at the rooftop Vertigo Restaurant on the 61st floor atop the Banyan Tree Hotel. Delight in alfresco dining at this sophisticated open-air grill and bar—the first of its kind in Asia.